The Myanmar government says it is ready to receive refugees who fled the unrest in Rakhine state to take shelter in Bangladesh. Union Enterprise of Humanitarian Assistance, Resettlement and Development (UEHRD) for Rakhine State Vice-Chairman Dr. Win Myat Aye said the Myanmar government is ready to receive those who return after fleeing to Bangladesh due to unrest in northern Rakhine State, to allow them to resettle in Myanmar safely again. He said that all necessary measures have been made for providing them shelter, food and employment. Relief supplies and assistance will be given to those who come back initially and UEHRD. UEHRD, which is chaired by the State Counsellor, has expansion plans apart from current investment plans, business projects, giving humanitarian assistance, resettlement and development projects in Rakhine State. Union Minister Dr. Win Myat Aye also said that the work to receive those who are repatriating from Bangladesh would start in the last week of January and this work would be done at a fast pace in accordance with the Myanmar-Bangladesh agreement. 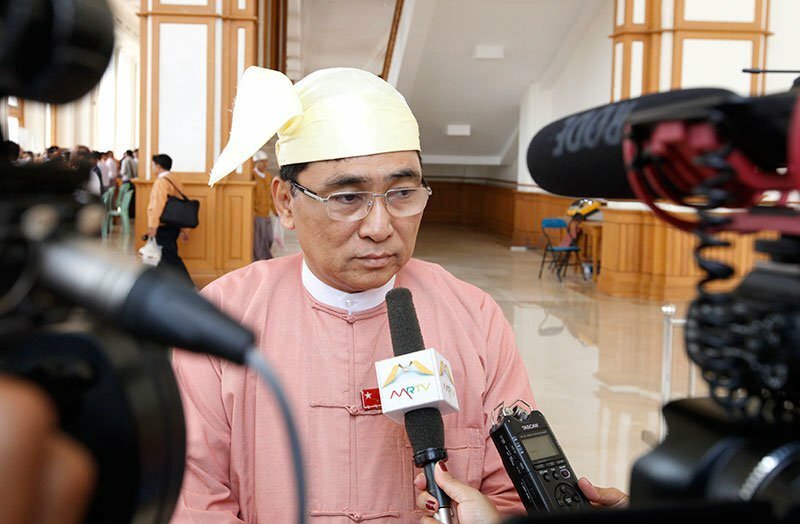 Verification of the citizenship of those who return to Myanmar will be reportedly done by the National Verification Programme (NVP) and the returnees will have freedom of movement in accordance with their National Verification Certificate (NVC) status that they will obtain through the verification process. The Myanmar government will receive these people at two camps which will be opened in Ngakhura and Taungpyoletwe where building and renovation work is currently underway. Dr. Win Myat Aye added that the concerns made by the UN and international community over those being repatriated would not materialize as Myanmar government has concrete plans for them. According to the statistics released by UN, the number of people who fled to Bangladesh after fresh violence erupted again on August 25 has reached over 620,000.